Sleep apnea is a potentially life-threatening sleep disorder characterized by repeated pauses in breathing during sleep. Because people with sleep apnea don’t always awake completely during these episodes, they are often unaware they have a sleeping disorder and it can remain undiagnosed. Dr. Hilton is UCLA residency trained in the treatment of sleep apnea, including innovative alternative solutions to conventional sleep apnea treatment methods. If you are concerned that you may have this sleep condition, visit Dr. Hilton’s office for sleep apnea treatment in Woodland Hills. It is VERY IMPORTANT to seek professional attention if sleep apnea is suspected. It is essential to seek professional attention if you suspect that you are dealing with sleep apnea. As a sufferer, you can completely stop breathing numerous times per hour, and this can quickly turn into a deadly situation. Problems associated with sleep apnea, such as frequent snoring and lack of sleep, may put you at a greater risk for heart problems – greater even than people who are overweight or even those who smoke. Frequent snoring and too-little sleep increases your risk for high cholesterol and thickening of or abnormalities in the carotid artery, leading to more complicated vascular problems. When you visit our office for care, Dr. Hilton and his team help you find the right solution for your sleep condition. For many patients who are suffering from sleep apnea, we are able to provide them with a comfortable and effective solution, so they can sleep undisturbed, and protect their overall health and well-being. 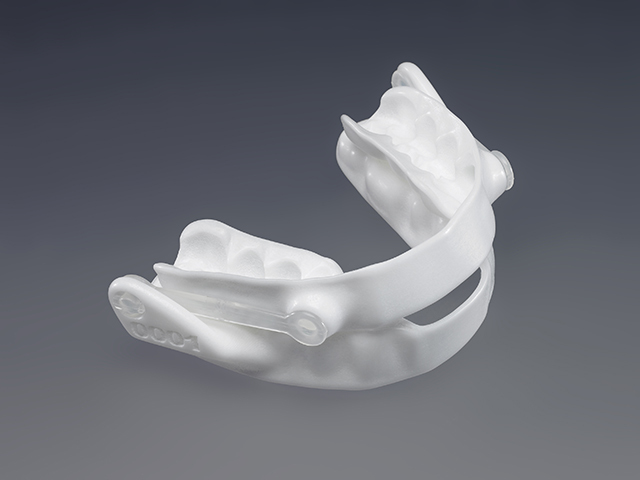 The long-time gold standard of treatment for many of the more severe sleep apnea cases is the use of a "sleeping machine" that elicits positive airway pressure (CPAP machine). However, many patients have difficulty tolerating this mode of treatment. With Dr. Hilton as your dental practitioner, alternative treatment options to the "sleeping machine" concept can be safely explored. A comprehensive oral screening evaluation will be performed to go along with a detailed assessment of any recent diagnostic sleep study, either through at-home monitoring with a portable device or at an overnight sleep study, that you may have had performed. Fortunately, Woodland Hills sleep apnea dentist, Dr. Hilton is equipped with the necessary technology and expertise to assist you in treating your sleep apnea. Learn More About Getting Help for Sleep Apnea – Contact Us! Dr. Hilton, a UCLA resident, is highly-trained in treating sleep apnea and can help you get a restful night's sleep again. If you suffer from the symptoms of sleep apnea, don't let the condition go untreated. For more information or to request a consultation, please contact our Woodland Hills, CA sleep medicine dental office.